The following free downloadable PDF products will launch you into the BattleTech universe and game system in no time! Outside of the games themselves, BattleTech uses two different types of fiction to convey its story. “Story fiction” includes novels, novellas, short stories, and so on; fiction that puts the reader inside the heads of the characters that populate the universe. The BattleCorps Fiction Sampler, below the calendar, is an example of “story fiction.” “Sourcebook fiction” — such as the Universe Guide below the calendar — presents story elements as though the reader were a character transplanted into the game universe, reading military documents, historical texts, secret security briefs, intercepted personal communications, local newspapers and so on. These two methods work hand-in-hand to bring the BattleTech universe to life. 2012 is shaping up to be the year of BattleTech. From the return-to-print of Catalyst Game Labs’ best-selling, award-winning 25th Anniversary Introductory Box Set for the boardgame, to the continued development of Virtual World’s location-based Firestorm pod simulators, to the arrival of two new computer games, Piranha Games’ MechWarrior Online and Personae Studios’ MechWarrior: Tactical Command: it’s going to be a fantastic year for anyone that loves giant robots blowing stuff up. This free 16 month calendar includes images from all four games noted above, as well as a plethora of “in universe” dates each month. 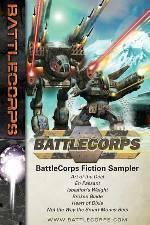 Whether you grab your BattleTech through fiction, boardgame or computer games, any MechWarrior can dive in and enjoy this PDF. This calendar runs from January 2012 to April 2013. These months consist of pages 4 through 35 of the PDF. It is designed for US Letter-size paper (8.5 x 11 inch, 216 × 279 mm). A4 size paper (210 × 297 mm) is close, but a little too long, and a little too narrow. You shouldn’t notice the width problem, but you will see a white strip at the ‘bottom’ of the page. If you’re printing double-sided, you will want to begin printing page 3, such that the month and it’s picture face each other, rather than being on opposite sides of the same page. For best results, consider using a higher quality paper. In the US, “regular” paper may have brightness 92, and 20 lbs for weight. Higher quality paper would have higher brightness and weight (density, grammage) numbers, for example, 98 and 28. In ISO numbers, typical paper is often 80 g/m^2, and nicer paper would be about 100 g/m^2. For comparison, card stock is usually 50 lb to 110 lb , or about 135 to 300 g/m^2. This information should be on the paper wrapping the ream of paper, or on the box the paper came in. If you’re using nicer (heavier) paper, do keep in mind that your printer may jam more unless you adjust the printer’s settings to account for the heavier paper. That’s different on every printer; some are more sensative than others. Printing process may change if you’re using a copy service like Staples. We hope the above helps you make the most of this PDF, and please don’t hesitate to contact us on the bg.battletech.com forums with questions. From the Succession Wars to the FedCom Civil War, this free PDF brings six short stories from the best of the BattleTech novelists — Michael Stackpole, Loren Coleman, Blaine Pardoe — while introducing readers to new authors making their mark. Regardless of how you enjoy your BattleTech, there’s a story here for you. 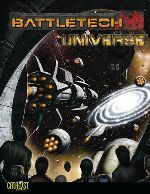 Whether you’re driving a BattleMech on your computer console, tossing dice with the board game, or reading the latest fiction, the following free full-color, forty-eight page PDF book introduces players to the fascinating and stunning universe of BattleTech. Covering the history of the universe till the end of the FedCom Civil War Era, it also provides a snap-shot of the major factions, conveys details on how BattleMechs work and how elite MechWarriors pilot these metal titans in battle, wrapping up with a short technical readout review of twenty-four BattleMechs.